You run a business or are self-employed. You just closed a deal with a customer. You need to whip up a contract to seal the deal. You also need to tie-up with a supplier to cater to this deal you just made with your customer. Now you are wondering how best you can bind both parties to complete both transactions smoothly. Many of you often wonder if you could just state terms such as names, payment and delivery dates on a piece of paper and call it a contract. Often, unforeseen twists and turns take place during a transaction that your “contract” may not be adequate to manage. In the worst scenario, you may face an irate customer who then cancels the deal. This may leave you high and dry with the supplier knocking on your door for payment not gotten from your customer. So how do you ensure the above all-too-common situation does not happen to you or your business? Have ready a contract that essentially comprises the following terms (amongst other terms that suit your business and its operations). Ensure the proper registered name of an individual or an entity is printed together with the registered address and the identity number or the UEN. You will be required to furnish such particulars in a legal action or when you file a claim in a tribunal. You need to clearly express the parties’ intent to create a contract. One common mistake most businesses make whenever the parties are unable to accede to each other is inserting a term stating to the effect that this contract is “subject” to a future side-letter or agreement. You should not draft any term that is ambiguous by, for instance, having it “subject to” another contract or any other agreement. In every contract, it is mandatory to state an offer followed by an acceptance to that offer. An offer could be from a service provider offering his services or a customer offering to purchase a service. The acceptance could be from a customer accepting the offer at a certain price by a certain date or a seller to deliver a product or render a service according to the offer-terms presented. In addition, there must be a term stating clearly the consideration; something of value e.g. money; to be given by one party in exchange for a promise. The promise could be in the form of a service or the exchange of a product. Therefore, state your payment-amount and terms clearly or state exactly the product or service you are offering in exchange; have a schedule attached to specify the payment terms or services or goods, if you need to. Elementary, you’d think. Not when you encounter the cases that I have seen. They range from parties arguing about when partial payments should have been made to whether a certain payment was to have been for this batch of goods or the previous one. It would be absurd, if you’d ask me, not to include a clause to enforce a contract or to resolve a dispute arising out of your contract after inserting the essentials stated above. In contracts for sale of goods or supply of services, parties can agree to settle any breach or dispute by, for example, mediation or; if the value of the contract is less than S$10,000.00; referring the dispute to the Small Claims Tribunal. You could also go on to state that should the dispute not be settled or a breach not be cured within a certain period, you agree that the contract be enforced by an action in the courts of Singapore. Question 1: I did not respond to this services provider who stated in their quote that I would be considered as having accepted their offer on the terms quoted should they not hear from me within 3 days. Can silence signify an acceptance? As a general rule (subject to limited exceptions), silence is not considered as an acceptance of a contract. I have included all salient terms but I just discovered that the product (subject of transaction) is banned in Singapore. Can I still enforce my contract against my customer? It would be foolhardy if you thought you could get away with a contract for an illegal purpose just by ensuring that you had all salient terms included. So, stay clear of illegality in your contract by ensuring that its purposes are above board. An example of a contract that could be void for illegality could be a contract for payment via a promissory note for an illegal drug. You should conduct your due diligence on any business contract before you sign one. Check with the various authorities for query on licensing, permits and whatnot. Question 2: Can I state terms to exclude my liability in a contract? I have also come across businesses attempting to exclude liability, some examples of which are liability for personal injury and liability for their goods not conforming to purposes for which they are bought; just to name a few. People often misconstrue that if they painstakingly draft such exclusions into their contracts, they are free from any liability. It is a misconception that you can exclude implied and statutory liability; that is, liabilities such as those implied in a sale of goods e.g. fitness for purposes and merchantable quality or liability for personal injury directly caused to a party by your services. However, you may exclude liability for any loss or damage arising not out of your act, omission or negligence. Question 3: Is the contract governed by the laws of Singapore if the other party is not a Singapore entity while I am performing my contractual obligations in Singapore? If any party is a foreign entity or has operations which span globally, it is prudent to state clearly that the Singapore courts of law have jurisdiction over the contract if the transaction takes place in Singapore. In this respect, it would not hurt to add that the law that applies to interpreting the contract should be the laws of Singapore. Question 4: How can I get the contract signed if the other party is unable to meet me on the day of signing? When you do not foresee meeting the other party to sign the contract together, it is also preferable to state in the contract that the parties can execute it in counterparts. Question 5: My customer insists on just issuing me a purchase order stating the quantity and price and refuses to sign my services contract; is this acceptable? Notwithstanding the ubiquity of the purchase order in the market for closing of transactions, purchase orders are not exactly a good example of a contract-not when you intend for the legal relationship to last a period or when there are several transactions during the period of the legal relations between the parties. A purchase order may become a contract when it is accepted. Then again, there is just so much that you can possibly include in your purchase order to cater for eventualities that may arise in longer term legal-relations with the other party. I always suggest to my clients to have a contract with the necessary terms to define a legal relationship and then confirm each order and delivery by a purchase order. Question 6: The nature of my business is highly dependent on punctuality as regards production and delivery deadlines; how can I impress this crucial term upon my contractors? If an untimely delivery or completion could cause your business to suffer loss or damage; you should want to include a “time is of the essence” clause in your contract and ensure that the other party acknowledges that it would be a breach of the contract if there was a delay on the latter’s part. Question 7: Can I get my employee to sign a contract on behalf of my company? Execution / Signing: This would probably be where even the most cautious of you could falter. I often see agreements signed by employees who are unable to present any form of proper authorisation from the board of directors. I have also seen sole signatures by directors on many contracts. If you operate a limited liability company, you need to ensure that the contract is signed in any of the following manner: by 2 directors, by 1 director and 1 witness or by 1 director and 1 corporate secretary. If you operate a partnership, the signatories should be the partners. Minimise your risk! Consult a lawyer! I hope you now have a fairly good idea on what you should include in your business contracts to maintain clear business relations and fuss-free transactions. Nonetheless, it is always good practice to do your business a favour and minimise commercial risks by consulting a lawyer; particularly when your contract is of some value or if you intend for the contract to be a standard one that you could use for most transactions. After all, one size does not fit all. A lawyer will customise your contract according to your operations, your risk-appetite and the nature of your transaction or business, be it a franchise, supply agreement, licence or services contract etc. The above are merely basic markers for a contract to be binding in general. Have a question on how to draft a good business contract? If you have a legal question about your options when you want to draft a business contract for your company, you can get a quick consult with Elaine or other lawyers. With Quick Consult, you can check out in minutes and the lawyers will call you back on the phone within 1-2 days to answer your questions and give you legal advice. This article is written by Elaine Phang from Avodah Advocates LLC. This article does not constitute legal advice or a legal opinion on any matter discussed and, accordingly, it should not be relied upon. It should not be regarded as a comprehensive statement of the law and practice in this area. If you require any advice or information, please speak to a practicing lawyer in your jurisdiction. No individual who is a member, partner, shareholder or consultant of, in or to any constituent part of Interstellar Group Pte. Ltd. accepts or assumes responsibility, or has any liability, to any person in respect of this article. Elaine has more than 20 years’ of experience in legal practice which focused on Company Law and Corporate and Commercial Law and Estate Planning. Her experience in the corporate legal arena includes M&As, funding exercises with VCs and start-ups, sale and purchase of shares, sale and purchase and assets, project and equity financing and commercial transactions including lease and tenancy management. As an outsourced legal services provider to her start-up and SME clients, she ensures they enter into safety-standards-compliant business contracts in e-commerce, in procurement, in marketing and branding, in client-services by ensuring that they operate within risk-mitigated frameworks. Elaine is committed to supporting entrepreneurs and startups and is passionate about cultivating fresh perspectives to “entrepreneurship”. 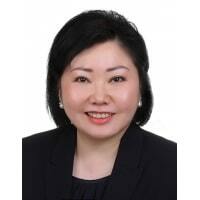 She is also an Associate Mediator of the Singapore Mediation Centre; a Court-appointed Volunteer Mediator and a member of the Singapore Business and Professional Women’s Association. WANT TO START RESOLVING YOUR LEGAL ISSUE NOW?